Located on an elevated section, at the end of a quiet cul-de-sac sit. Magical lake views capture your attention upstairs in the spacious open plan kitchen dining and living with a north facing balcony drenched in sun, perfect for entertaining. 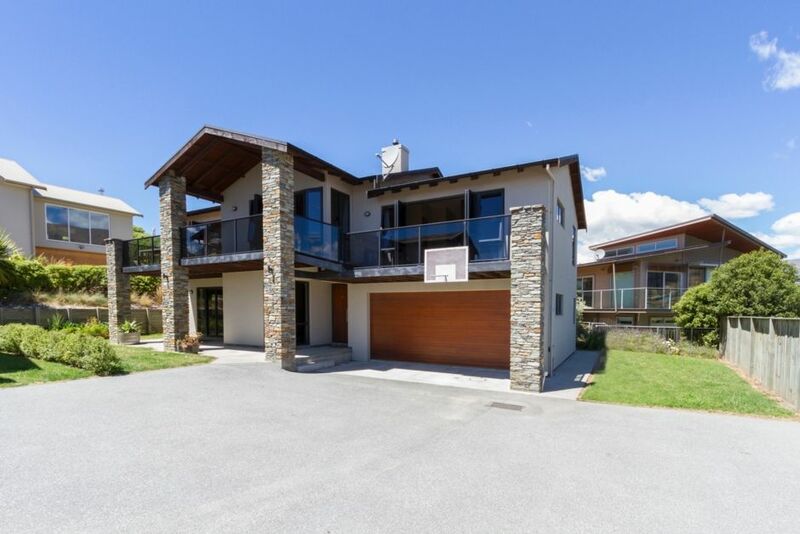 Just a short walk to the lovely Bremner Bay, sports fields, Wanaka township, cafes and community swimming pool and only 1km from the lake front. Well equipped kitchen area with a large deck. The property has modern appliances, gas cooking, dishwasher etc. Large new heat pump and heaters in the bedrooms. You will not be cold in this house! The upstairs master bedroom features a new king bed, ensuite with bath, walk in wardrobe and access to the deck which enjoys plenty of sunshine while you enjoy those views of the lake. Downstairs has the remaining 2 bedrooms, laundry and bathroom. Free WIFI. Large Smart TV with Freeview. This property was fabulous, well appointed with a lovely outlook. I highly recommend it. This property was amazing, better than expected and we will be back! Great house. Beautiful views and perfect facilities. Excellent property, well appointed and suited us perfectly. Would be very interested in renting it again.